Basic wastewater collection and reclamation is not available in most Palestinian cities and communities, who instead rely on septic tanks and cesspits. Septic systems generally provide for acceptable treatment and disposal of domestic wastewater in rural and low-density communities. However, as communities grow and housing density increases, or in areas of rocky soil with poor infiltration, cesspit/septic system performance declines. Overall, these conditions typically lead to higher costs for the residents in terms of increased pumping and reduced protection of health and environment. The purpose of the Packaged Wastewater Treatment Plant Pilot Project (Packaged WWTP Project) is to bring wastewater collection and treatment/reclamation to the Village of Anin (Anin) and eliminate the use of cesspit/septic systems within the municipal sewer service area. It is considered a “pilot” project because the goal is to demonstrate methods which will maximize sustainable wastewater treatment in a small community setting. It has been configured with elements that bring a synergy to treatment and sustainability. 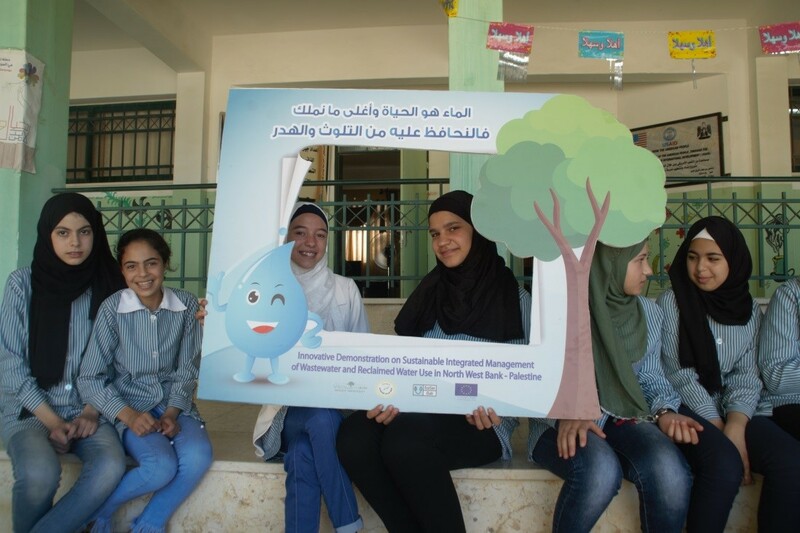 The overall objective of the project is to contribute to improving sustainable water and environment management through the promotion of sustainable and innovative wastewater management systems and reuse schemes in Palestine. Approximately 10 Km 8” and 6” gravity pipes. All other associated manholes and connection pits. Management of rural wastewater and improved environment in a sustainable and socio­economic manner. Self-sufficiency of this pilot is achieved through use of appropriate treatment technologies, solar energy supplement, a structured and phased permitting plan, and synergy with reuse elements and energy supplement. Adaptation and resilience of rural farmers in targeted village to water related impact of climate change is enhanced, by promoting demand and access to additional water resources and irrigated area for agricultural purposes using reclaimed wastewater. Self-sufficiency, increased productivity and added value of this pilot are ensured via the use of appropriate irrigation technologies and well-structured Water Users Associations (WUA). Awareness, technical and institutional capacity of farmers groups, public service providers, and local and regional authorities is enhanced in the field of wastewater treatment and reuse.